Anyone suffering from arachnophobia should probably look away right now, as this article is filled to the brim with tiny spiders that crawl around. Spiders, despite being rather terrifying, are actually fascinating and diverse. There are so many different species, and they are some of the most efficient predators in the world. They adapt to their habitat perfectly. Some are scary, sure, but others are just odd and make you stop and scratch your head for a moment. These ten are exactly that type. 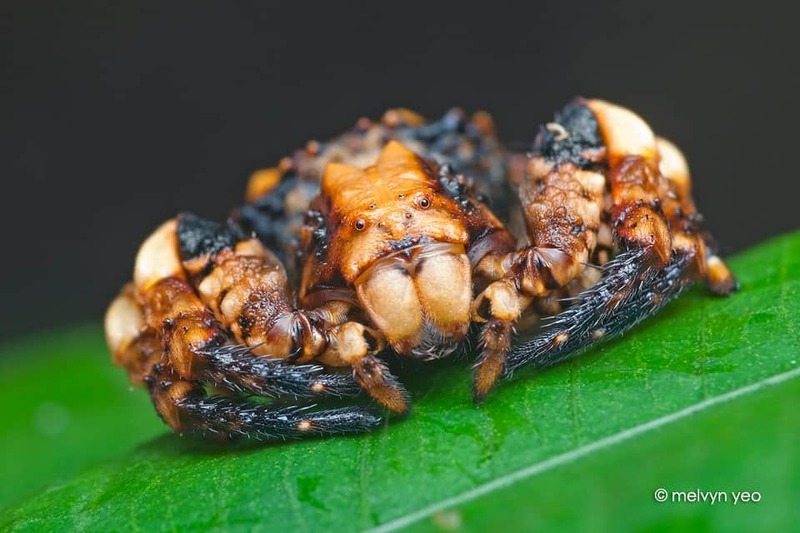 The Bird Dung Crab Spider is known for having one of the most impressive and effective forms of camouflage of any animal in the world. The body of the spider is covered in warts, which makes it appear similar to that of a piece of bird dung. Argyrodes Colubrinus is generally known as the Whip Spider, and is found throughout Australia. The spider has a long, slender tail that appears similar to a snake, though some believe it looks more like a twig. The twig-like appearance allows it to escape predators and prey alike. The Scorpion-Tailed Spider received its name due to the female’s elongated abdomen, which appears to look like a scorpion. The spider arches its tail when threatened, just like a scorpion might. The male appears similar to a regular spider, and is usually smaller than the females. 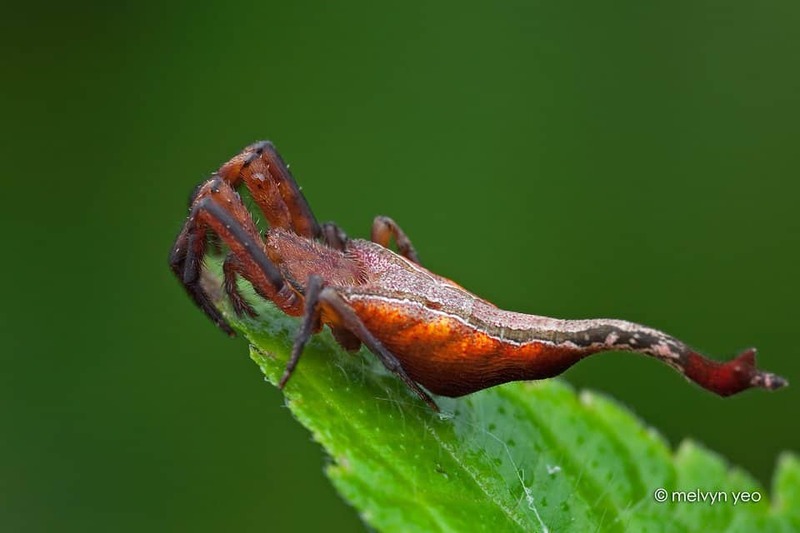 Whenever you look up cute spiders, the Bagheera Kiplingi is what pops up. 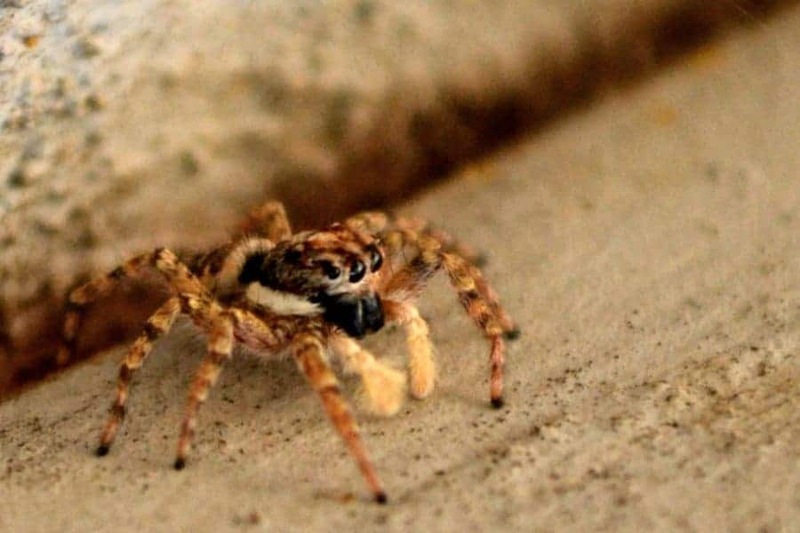 Named after the black panther in The Jungle Book, this tiny spider is one of the jumping spider species. They are vegetarian, thankfully, and feast on nectar and acacia buds. The Assassin Spider is too surreal for some people. 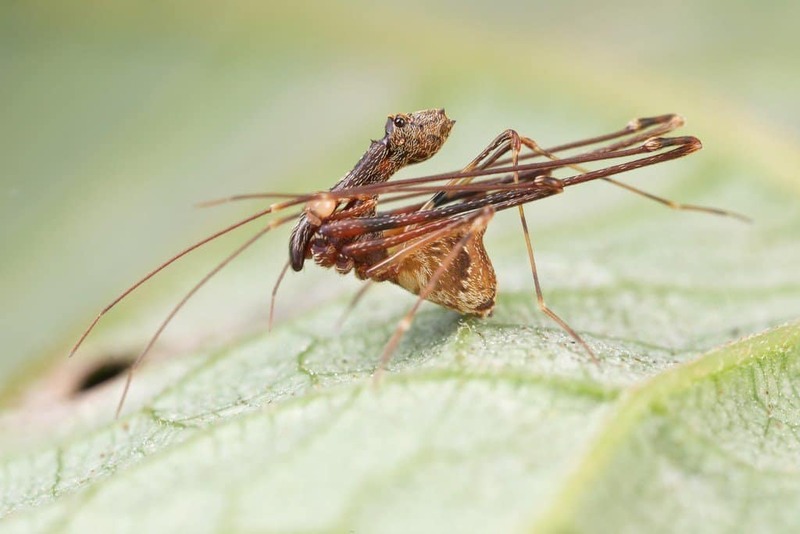 These bizarre creatures have long necks designed to support their massive jaws, and they feed exclusively on other spiders. Their bite is harmless to humans, thankfully. 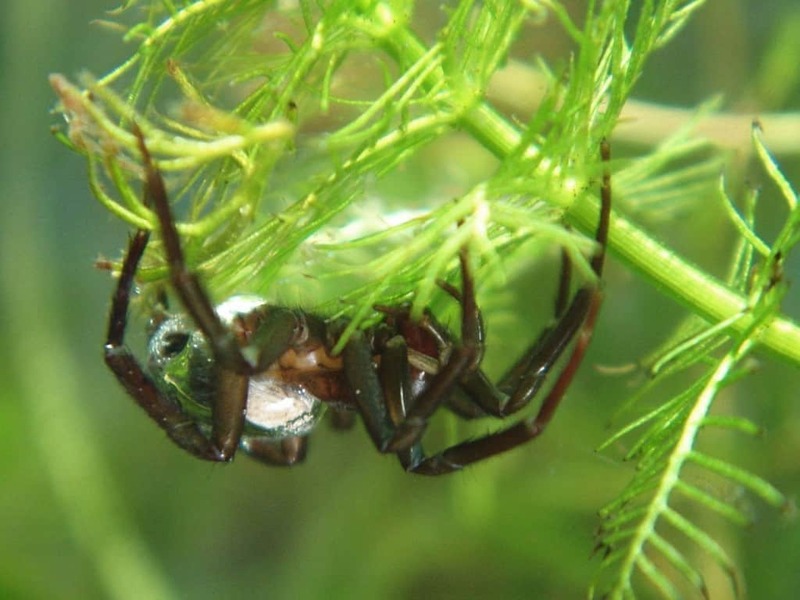 Argyroneta Aquatica, also known as the Water Spider or Diving Bell Spider, lives its life completely in the water. It is the only species of spider to do so. They live in ponds and slow moving streams, and generally hide themselves in oxygen-filled bubbles. 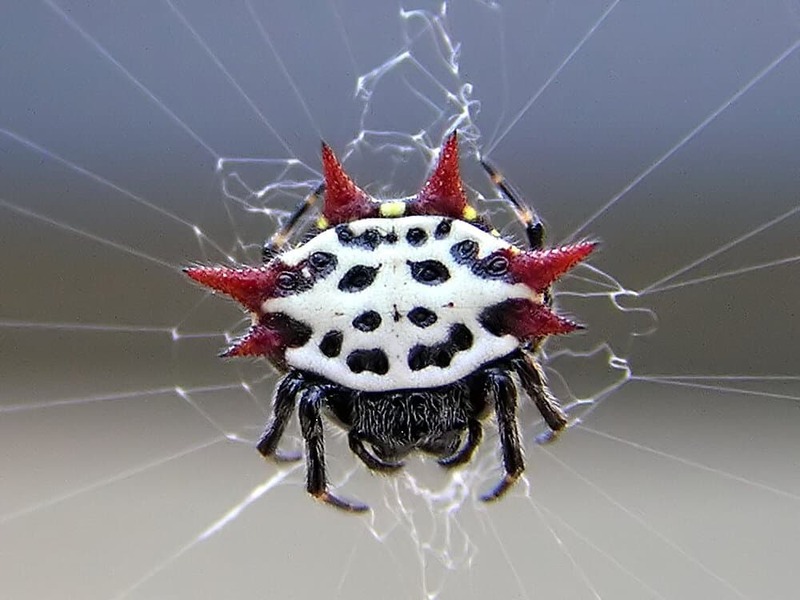 The Spiny Orb Weaver is a species of horned spider found throughout the world. They are completely harmless, but their appearance shocks many. They are notable for their silk “flags” added to the sides of their webs. 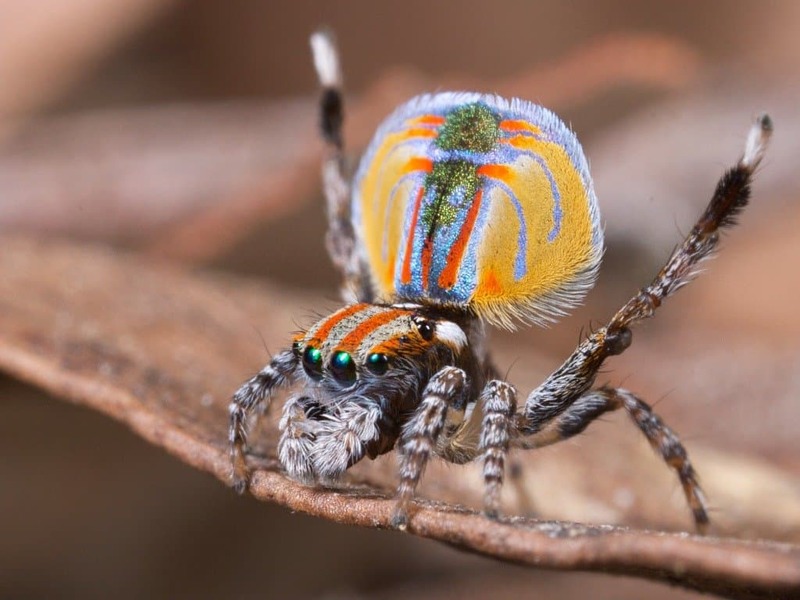 Maratus Volans is an Australian species of spider that is sometimes referred to as the Peacock Spider, due to their bright colors. The male has a flap on their back that is colored, and they raise it to gain the attention of the females. The Myrmarachne Plataleoides is capable of disguising itself to confuse predators. 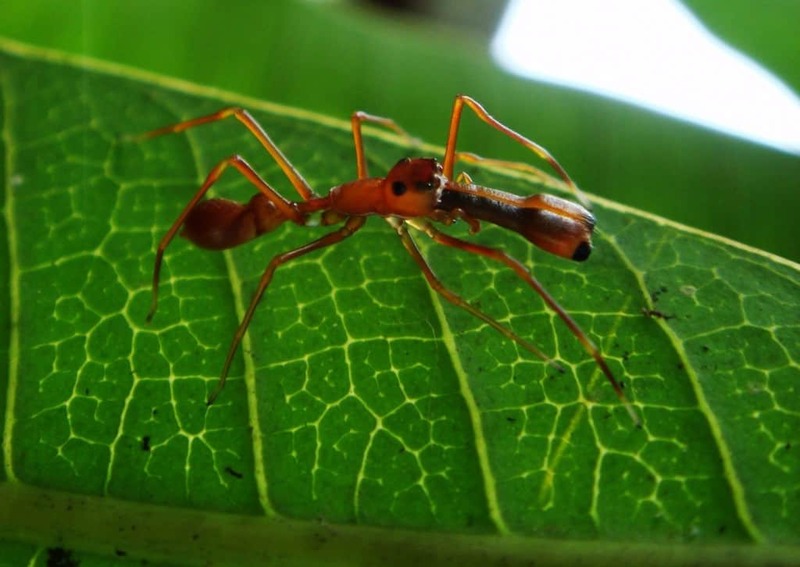 The jumping spider mimics the appearance and behavior of the weaver ant. They are also noted for having a painful bite, as they create two different chemicals in their bodies that are administered with each chomp. The Happy Face Spider, found throughout the rainforests of Hawaii, actually does have a smiley face on their abdomens. The yellow color makes the red and black stand out far more. Sadly, they are currently endangered due to their habitat being reduced.